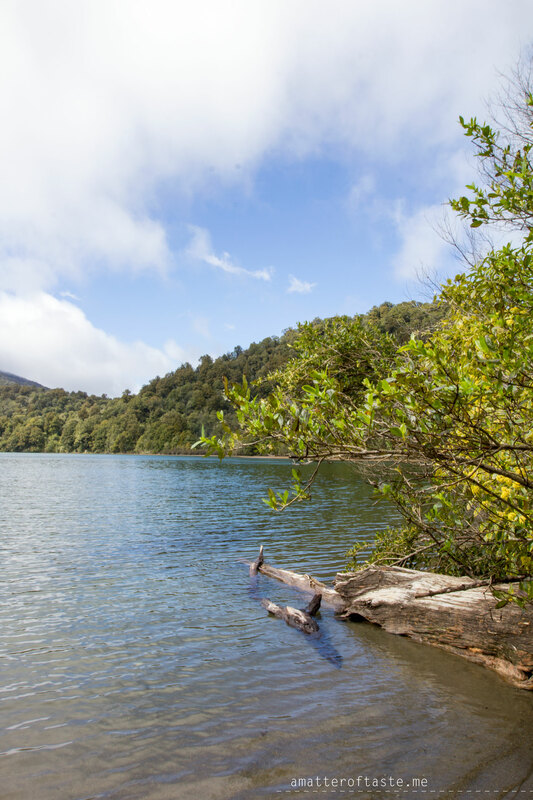 There are a couple of options for a drive from River Birches Lodge to Wellington. We decided to leave early in the morning and take a longer but more picturesque one. 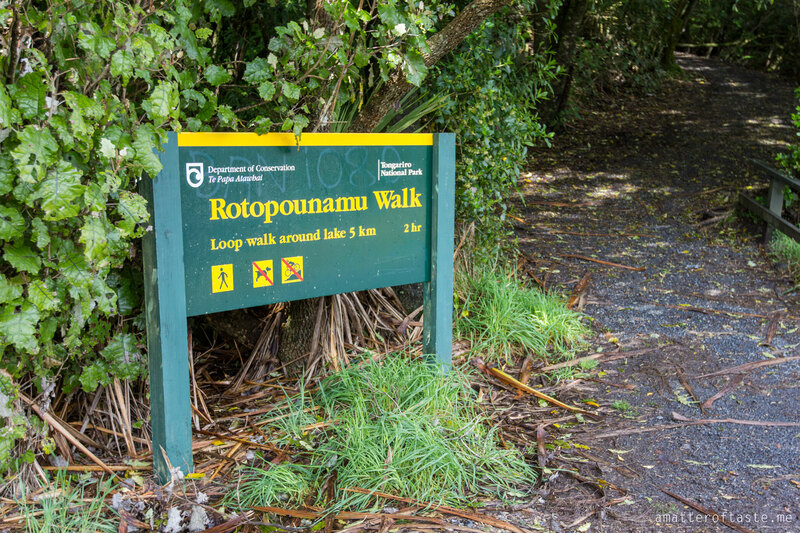 First, we stopped at the scenic lookout to have a glimpse of Lake Taupo, then we did a quick walk to see Lake Rotopounamu (about 40 minutes return). The plan was to see also Tawhai Falls on the way, but we didn’t have enough time (car had to be returned in Wellington before 5pm). It is really not that easy to just drive without stopping every couple kilometres to take photos when everything around you is changing so fast: one moment clouds were blocking the view just to show us the majestic mountains a few moments later; our surroundings were also different with every turn we took – brownish grass, forest, green fields, rocks – and all of that within no more than two hours of driving. I loved that part of our road trip. 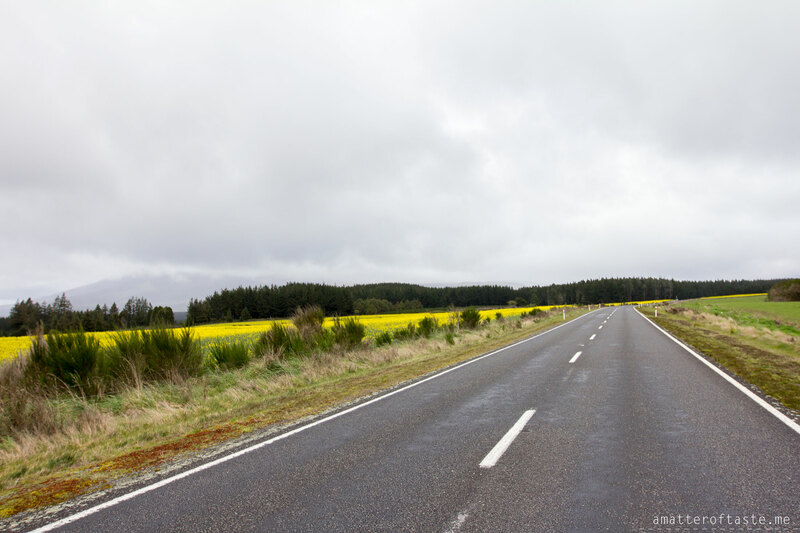 Definitely, one of my top three NZ drives. After turning South from road number 49 to 1, the trip became tiresome. The strong afternoon sun was bothering Hubby (who was our driver for all 3000km in NZ), the views weren’t that interesting anymore and we couldn’t wait to get past Paekakariki and be on the coast for a change. 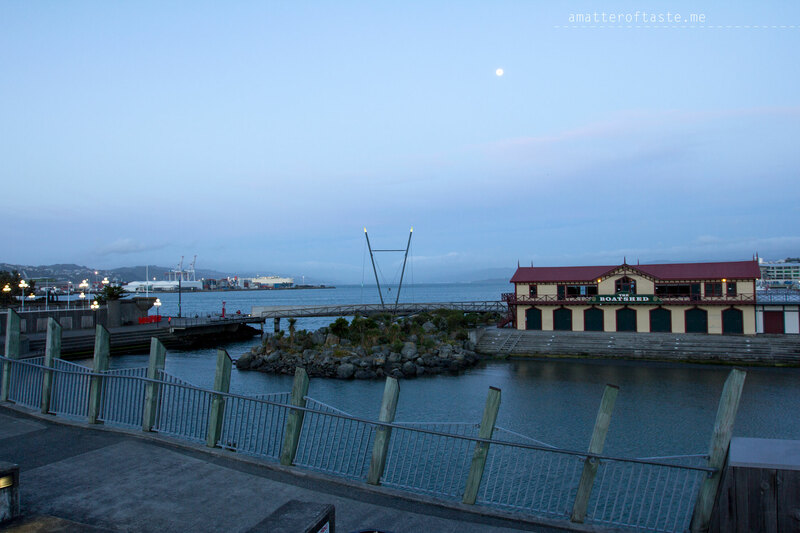 From there it was just a quick last stretch to Wellington. 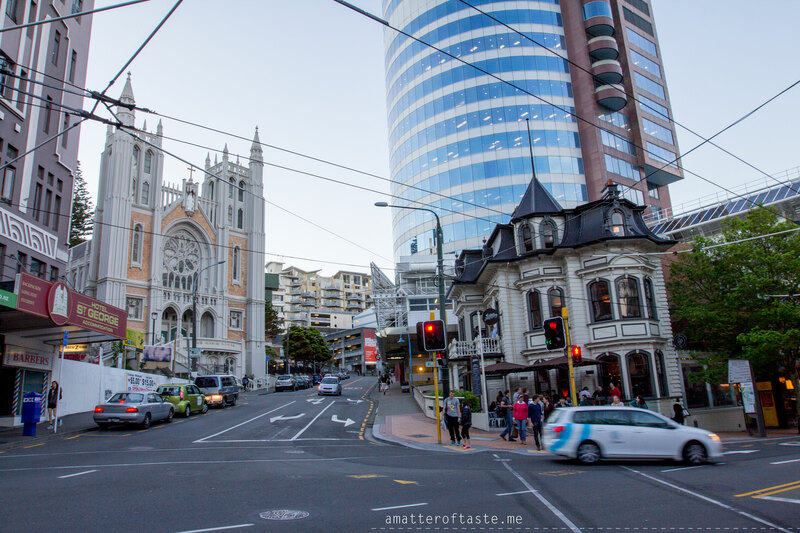 “The coolest little capital in the world” captures pretty much what I’d like to say about Wellington after spending there 2 days. It’s small enough to walk around, has a lovely harbour for walks, serves good coffee, has a very friendly vibe and is just simply pretty. Ok, I didn’t like the crazy wind, but overall I could even see myself living there. The hotel extends over 2 buildings: the original hotel and apartments, both connected by an interesting, art-filled lobby. 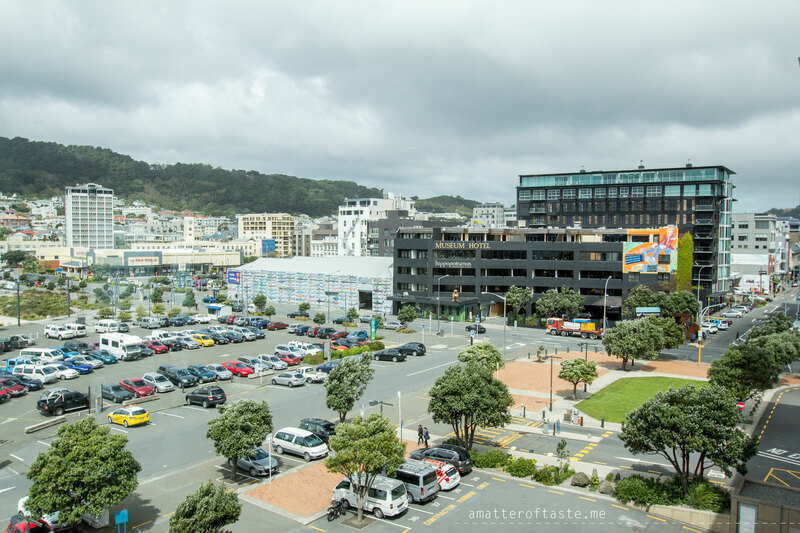 The location is great – right across the road from the Museum of New Zealand Te Papa Tongarewa, within a short walk to restaurants, shops and public transport. 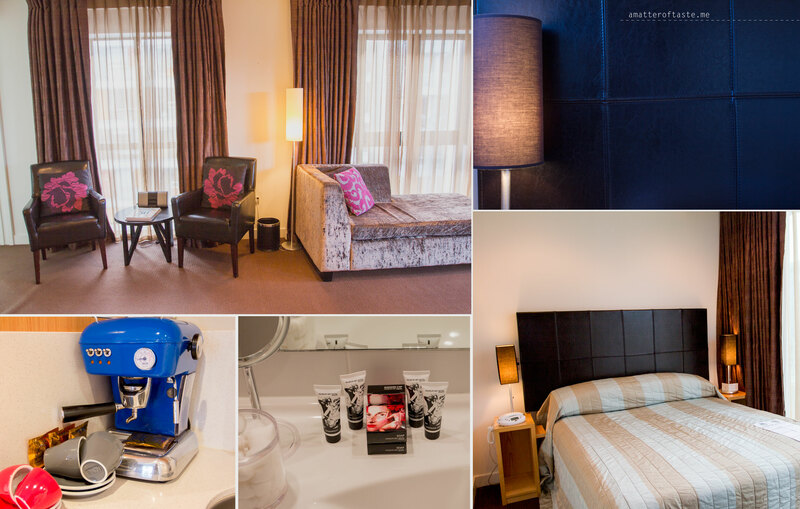 It was a good idea to stay at one of the apartments in the middle of our New Zealand trip. We were able to do some laundry (every apartment has a washing machine and a dryer) and get more privacy than you have in any hotel or b&b. And as usual, my favourite thing in the apartment: coffee machine. My enthusiasm didn’t last long though – they disabled the milk steamer in the machine, forcing us to pour cold milk into our coffees. You can easily spend all day in the museum. 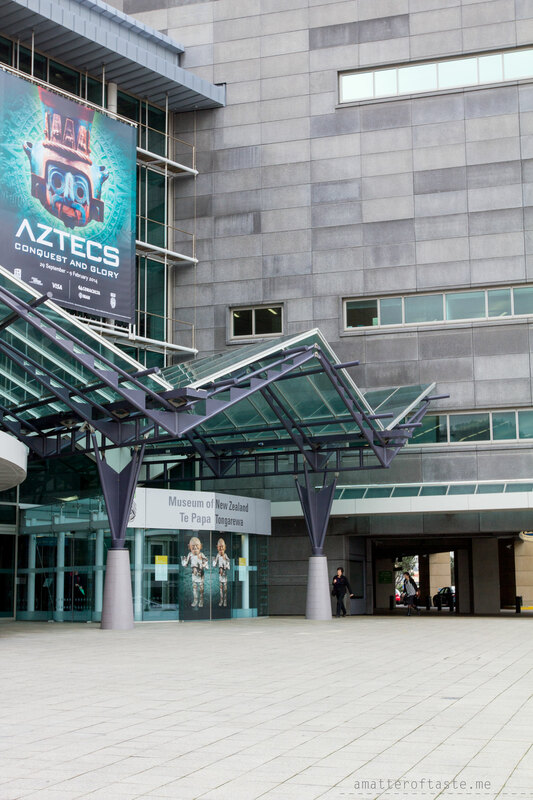 Five levels filled with fascinating exhibitions, interactive expositions (earthquake simulation house) and some short-term displays. The entry is free (charges apply to some short-term exhibitions), guided tours available and knowledgeable staff are willing to help you to find what may interest you the most. Cafe on the 4th floor offers good coffee and fresh & tasty paninis (paid NZ$27 for 2 flat whites, panini and a soup). Weta Cave is a free mini-museum, showing all sorts of models and props from many movies and screening a short movie that shows behind the scenes look at the workshop. There is also a broad choice of merchandise. Window into workshop (NZ$20 adult ticket) is a guided tour around a part of the Weta Workshop. You can not only see the props, but also hear some stories behind them and learn about the making process. Perfect place for movie geeks. The place was packed with people on Friday evening, but we managed to get a table in the restaurant part. After picking Mac’s cider and wheat beer (NZ$8.50 each), which were good, our choice of dinner dishes wasn’t the best. 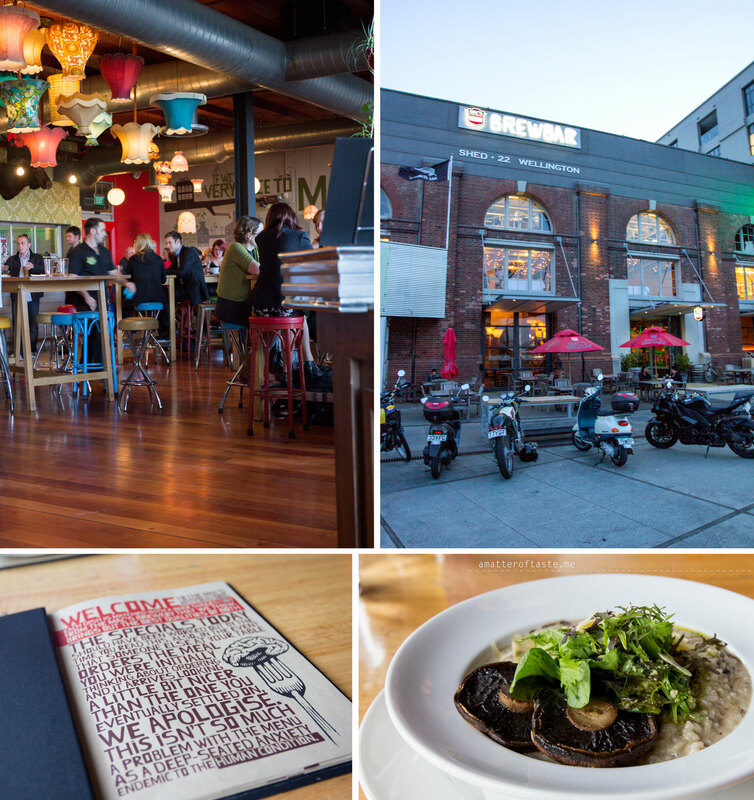 Don’t know why in a BREWbar I decided to go for risotto (I think I was craving mushrooms | NZ$25) and Hubby got thai curry (NZ$27)… Yes, we should have bought a pizza. But drinks are good and the interior (and location) really nice. 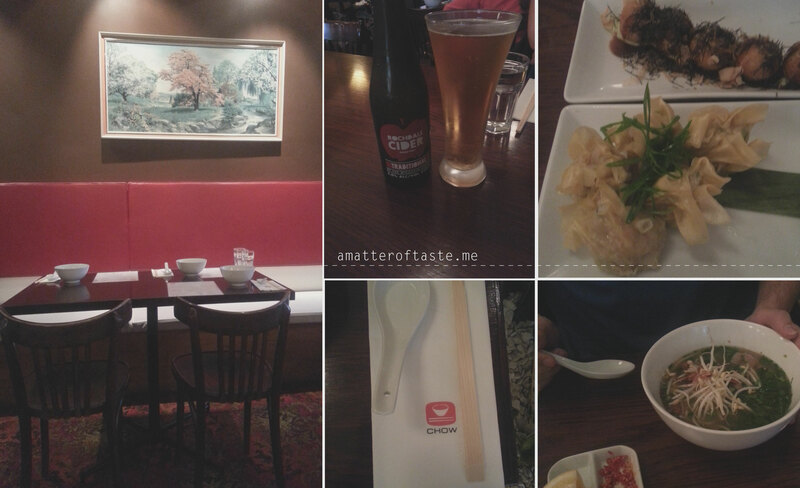 Tapas style Asian restaurant with a modern decor and amazing smells coming from the kitchen. Hubby decided not to share and wanted to test their pho. I went for some coconut prawn dumplings and takoyaki octopus balls. All that + apple cider for NZ$55. 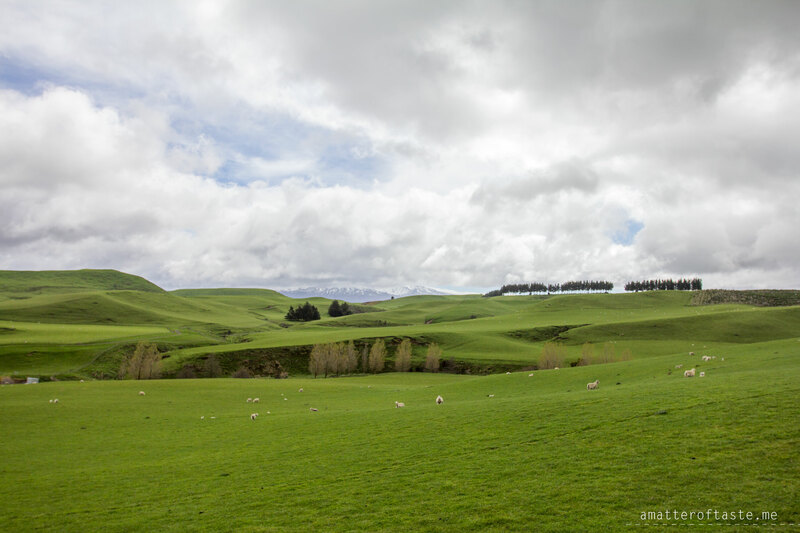 Yet another randomly picked place during our NZ road trip and once again great luck, because it turned out to be very good. Very enjoyable late lunch (steak sandwich and bacon toastie on dark bread) and great coffee to go with it – paid NZ$34.50 for lunch + coffees. All that in a cute small house, with just a few tables and a small bakery section. Looked popular amongst local people, as every few minutes someone was coming in and was greeted by name. Becs Cafe – a place that we randomly stumbled upon on our way up to the Botanic Garden. I bought a takeaway coffee (NZ$4/flat white) and we stormed out to continue the climb up. And after the first sip, I had to stop and take a picture of the cup to remember what it was – Flight Coffee. The best coffee we’ve had on the North Island. 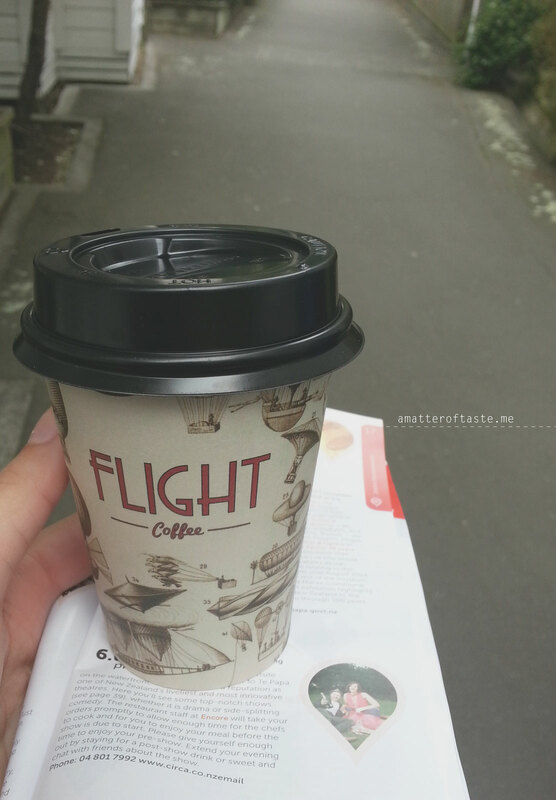 If you’re a fan of “Melbourne style” coffee and you find yourself in Wellington, make sure to try the Flight Coffee somewhere, you’ll love it. 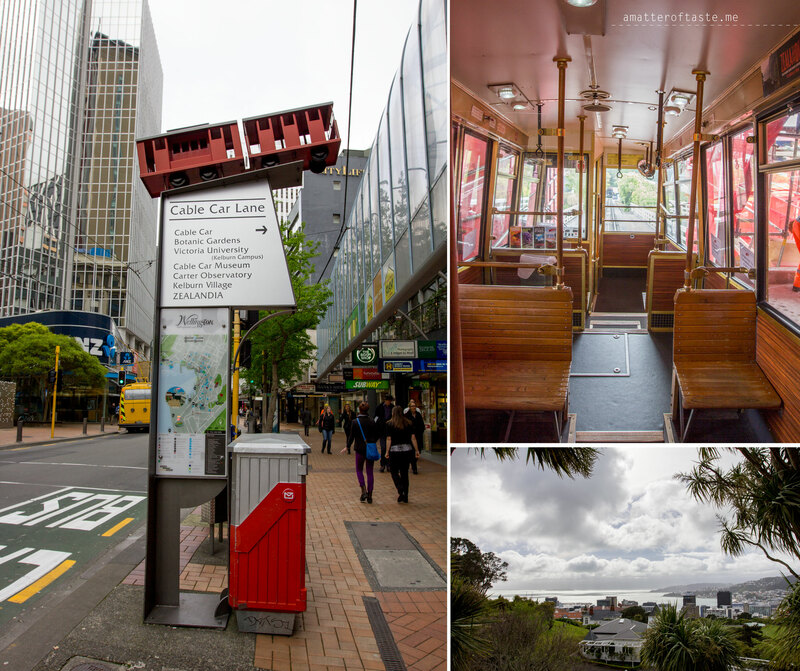 Transport expenses in Wellington: BusAbout Day Pass NZ$9.50/person – day pass for all Wellington busses. 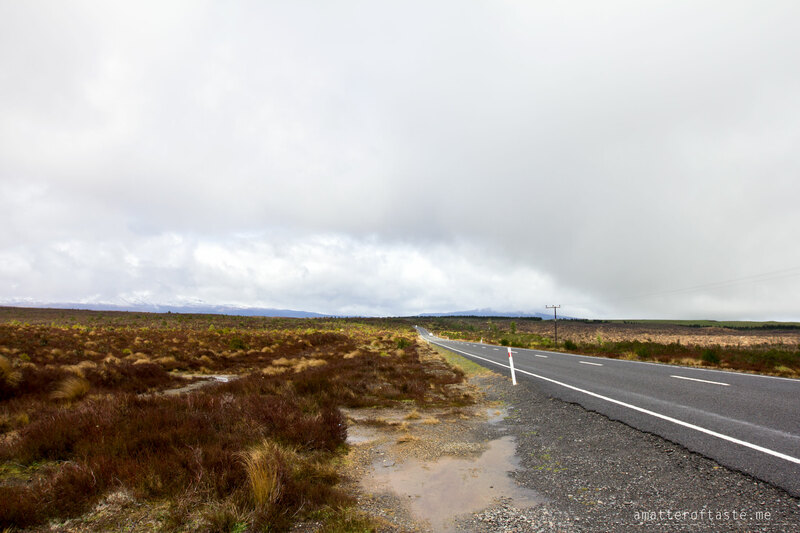 Valley Flyer NZ$9.00/person – bus to the airport.